As the saying goes: give the people what they ask for. 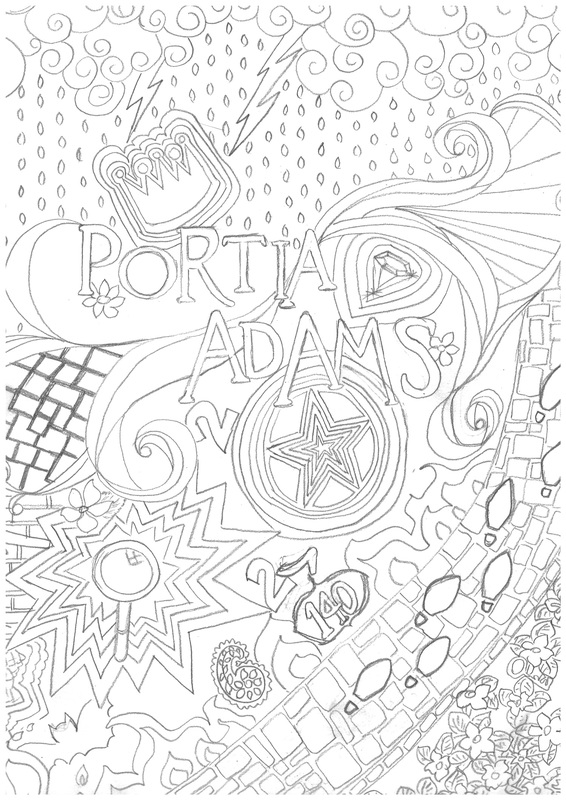 In this case, a lovely 10-year-old fan named Anna who emailed me and asked why I don’t have any colouring pages for the Portia Adams Adventures. Well Anna, and all you adults out there finding new joy in colouring within the lines, please download and enjoy my first colouring page. If you click the image on the left, it will take you to the larger version which you can print and colour in! Alternately, you can right-click and download it to your computer and print it from there. PS: If you email me scans or photos of your finished works, I promise to post them on the site! PPS: I’m going to ask the fantastic artist who designs my Canadian book covers to create colouring page version of my books too! Posted on July 25, 2015 July 25, 2015 by Angela MisriPosted in Fiction, Illustration, WritingTagged art, colouring, colouring pages, colouringfortherapy, fun, hand-made, portia adams. Wow, Portia’s really taking off, isn’t she? If you mean that she’s a colouring page, then I guess so! I’m taking requests that’s for sure!